Click here to listen to Nirinjan Kaur talk about her new album Prem Siri on Spirit Voyage Radio with Ramdesh! 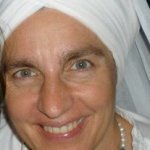 Join Ramdesh for a chat with her dear friend Nirinjan Kaur, an extraordinary sacred chant artist who has just released a remarkable new CD, Prem Siri. Nirinjan explains that the album had been somewhat delayed, as she was busy with the birth of her son, and being a full time mama. But last year at Summer Solstice in New Mexico, Nirinjan was doing White Tantric Yoga with her husband when the idea for a new album sprouted. In a moment of clear, blissful meditation, she even realized that the album would be called Prem Siri. 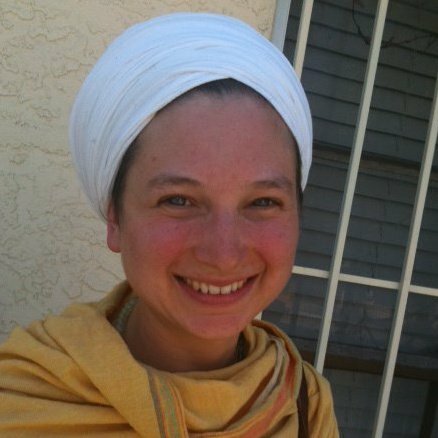 “Prem,” she explains, means “love” and “siri” means “great.” Nirinjan says she heard a Yogi Bhajan lecture in which he said that whatever you love you shall become and if you love something great you’ll become great. Whatever you pour your heart, your passion, or love into, you will become and embody in your life. The first track you’ll hear is “Bhaj Man Mere.” “Bhaj” means “vibrate” or “to resound with,” “man” is “mind,” “mere” is “my own,” “hari” is “God in action.” The complete mantra translates as, “Oh my mind, vibrate the name of the lord, the true name.” This is a very meditative mantra that brings you to a neutral state. Nirinjan sings it in the rag style of Indian classical music. Chanting the mantra gives you the courage, bravery and strength to face life with a meditative mind. Nirinjan discusses her experiences as a mother. and the challenge of balancing her Kundalini yoga practice with motherhood. She makes time for yoga every day, to wake up her nervous system and to feel connected and centered, and meditates to keep her more subtle bodies in shape. By creating a sacred space for yourself, she explains, you also create a sacred space for your child, as whatever you do your child will experience, and your child is in your aura for the first three years of life. Going through pregnancy, she adds, made her realize that every human being—no matter how old—is an extraordinary creation. 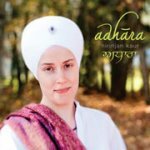 A beautiful version of “Aad Guray,” the mantra for protection, is next followed by the “Ether Tattva Waheguru Mantra” that was used as the Summer Solstice support sadhana this year. Sit with spine straight and hands in gyan mudra as you join Nirinjan in chanting this mantra, which means, “I am in ecstasy” and offers the experience of being brought from darkness to light and merged with God. When she was chosen to record this mantra, with which she was very familiar, Nirinjan wanted to create something unique. She sat down with her guitarist, and they began meditating and slowly adding each voice and instrument, “growing it from its birth, re-birthing it if you will.” The result is a gorgeous, ethereal track that sounded absolutely amazing as it wafted across the mountains at Summer Solstice, and will warm and uplift your heart when you listen at home. Join Ramdesh and Nirinjan Kaur as they explore the fantastic new album Prem Siri, nourishing listeners with their shared “great love” of music, mantra, and the Infinite. Click here to sign up for the Spirit Voyage Radio with Ramdesh podcast on Itunes.